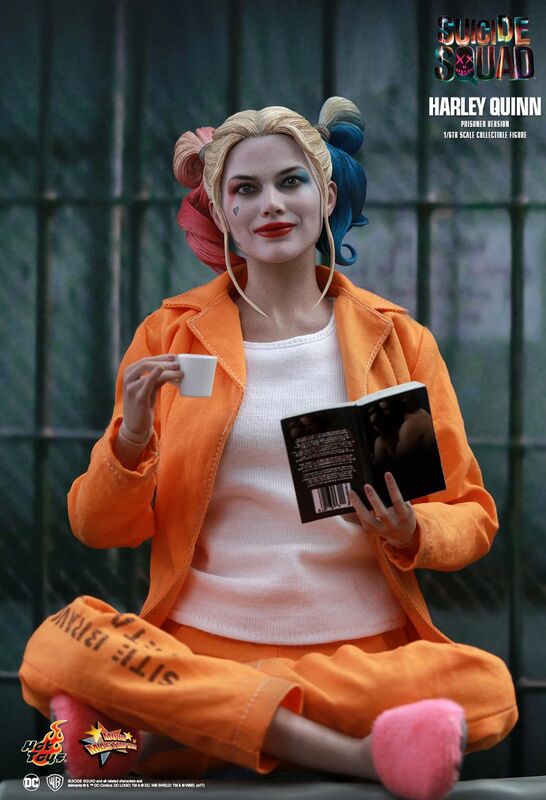 "Come on, I'm bored... 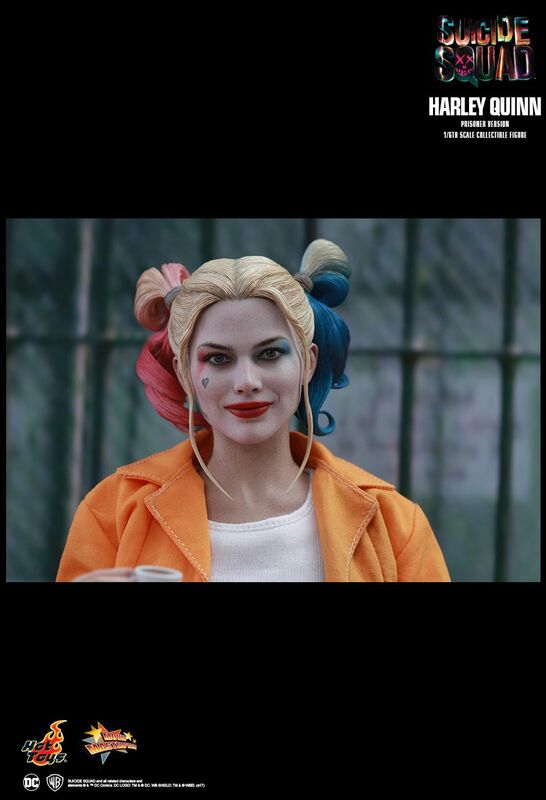 Play with me!" 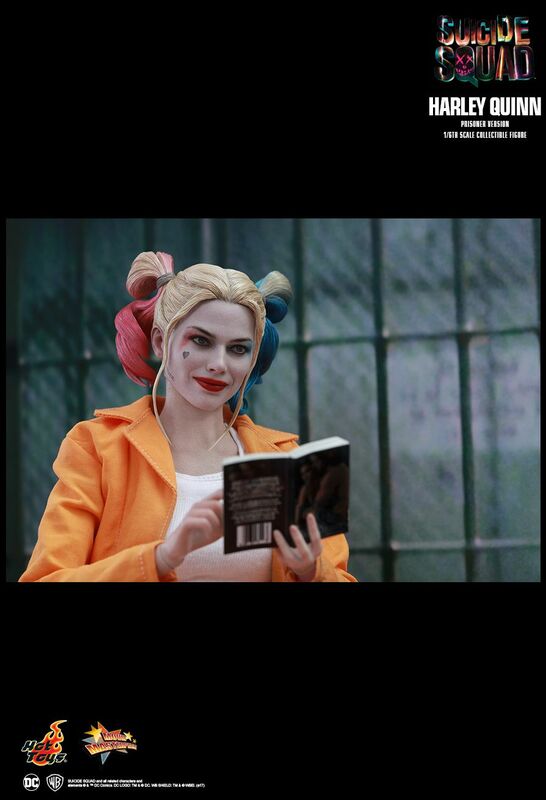 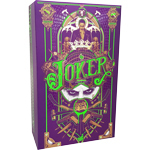 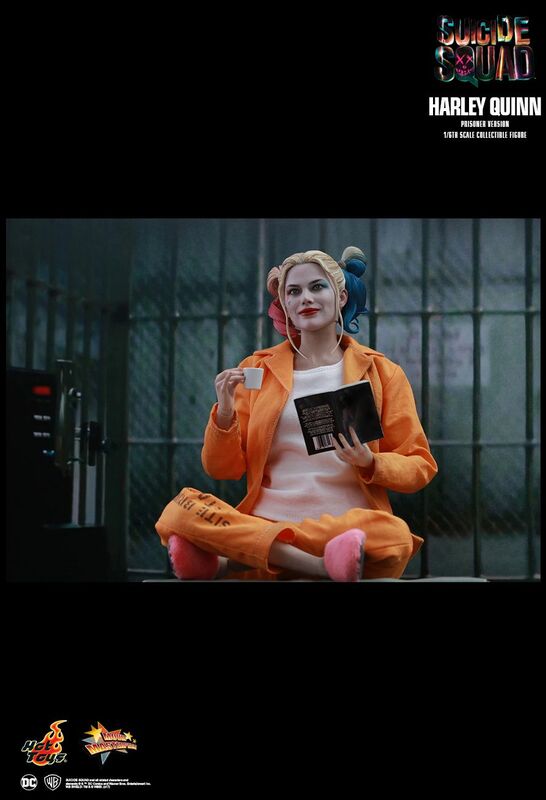 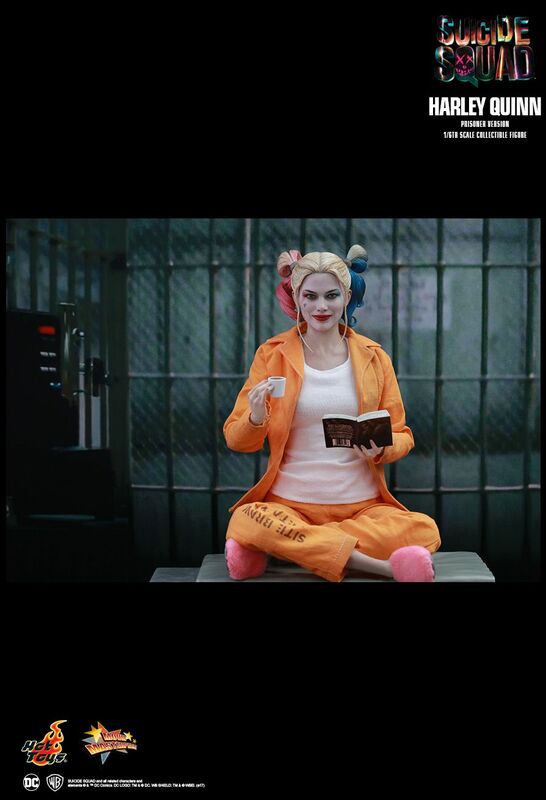 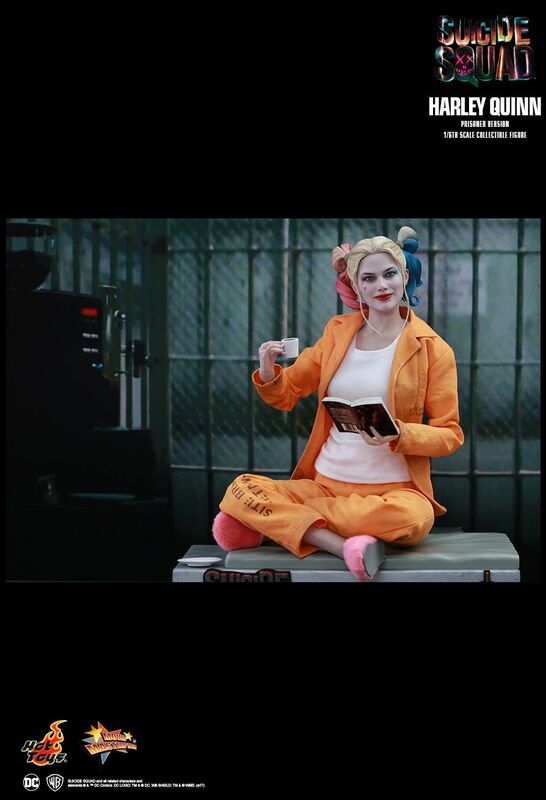 In the DC Extended Universe blockbuster Suicide Squad, Harley Quinn makes her entrance as a convict serving time in the Belle Reve Prison, where she is reluctantly enlisted in a secret task force doing dangerous dirty work for the government. 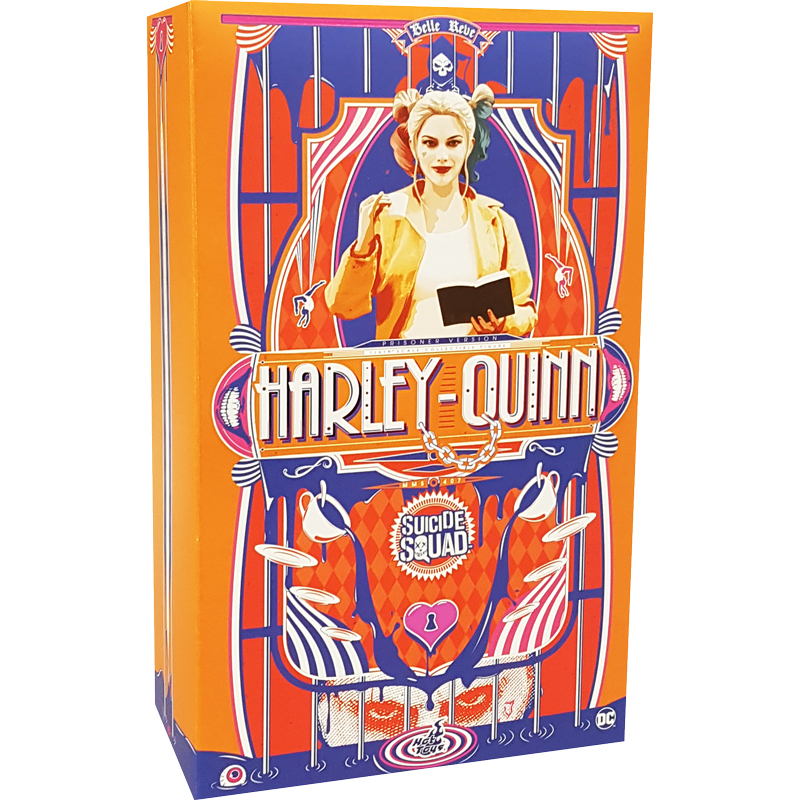 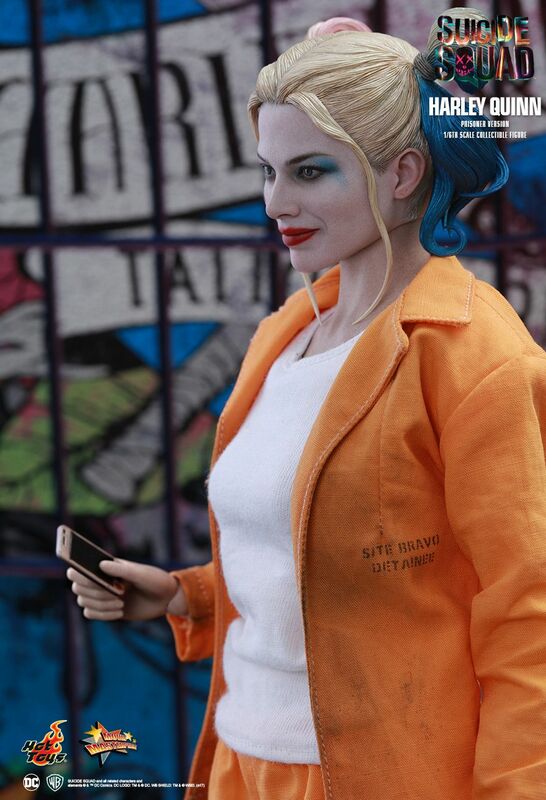 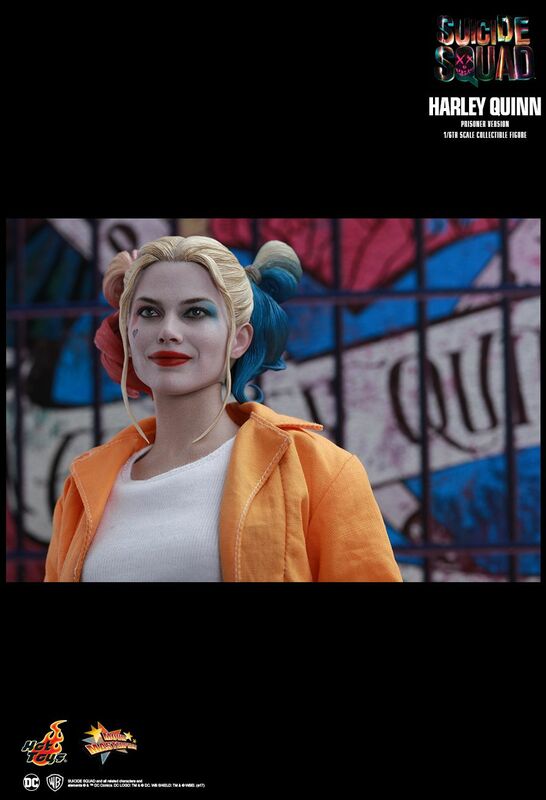 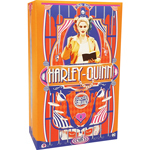 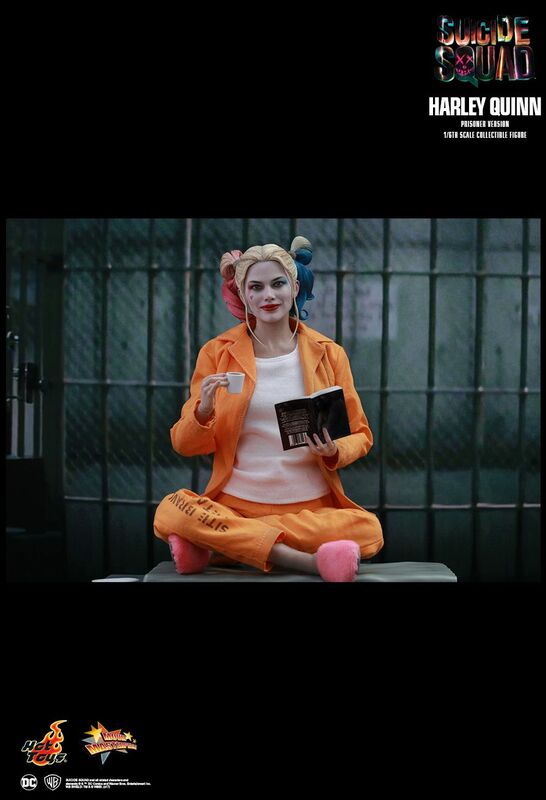 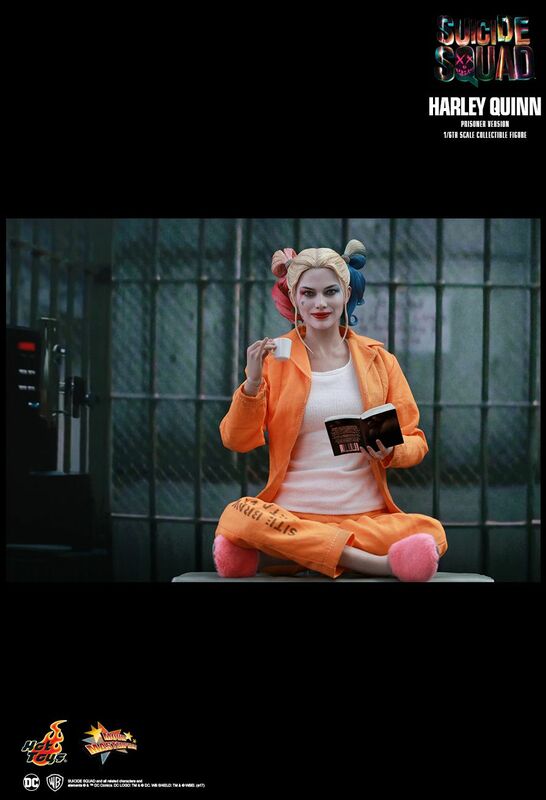 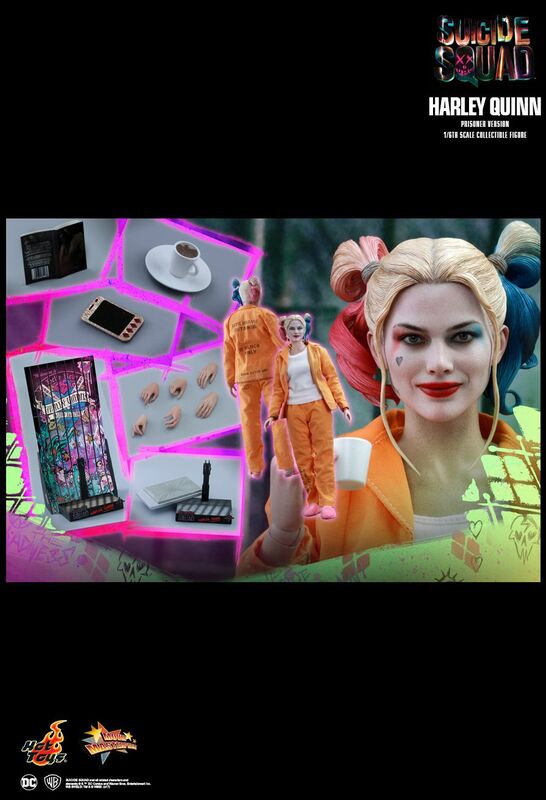 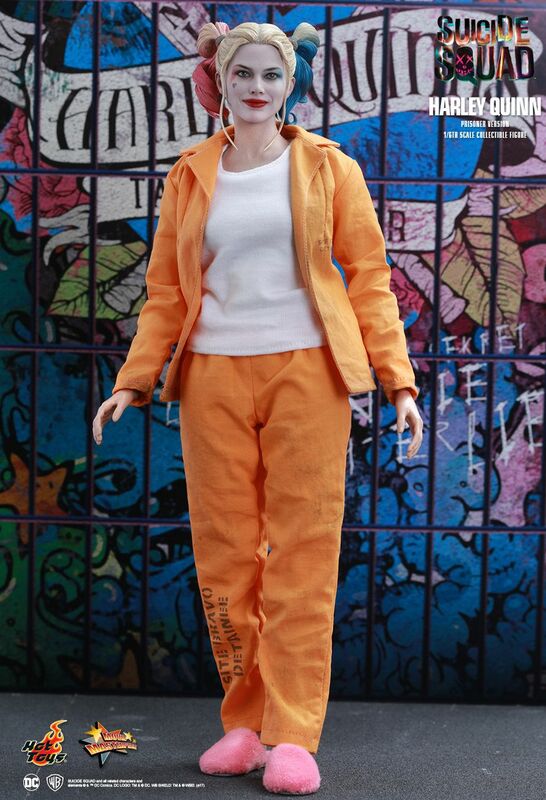 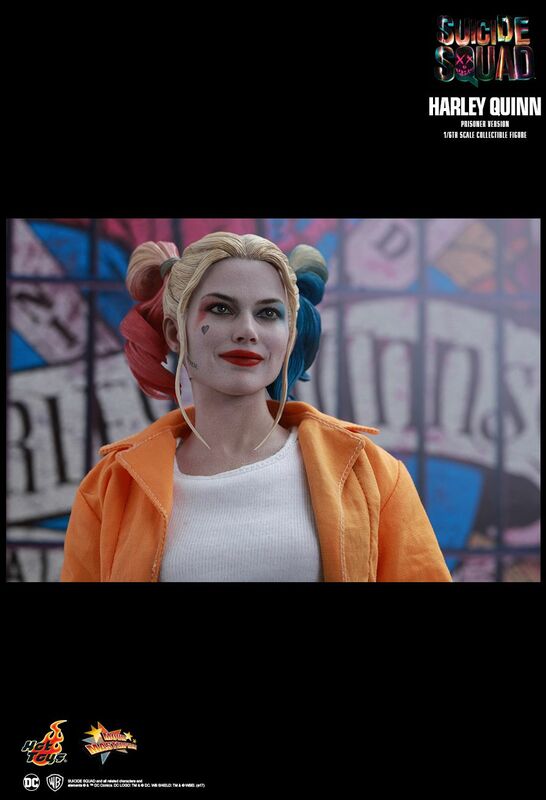 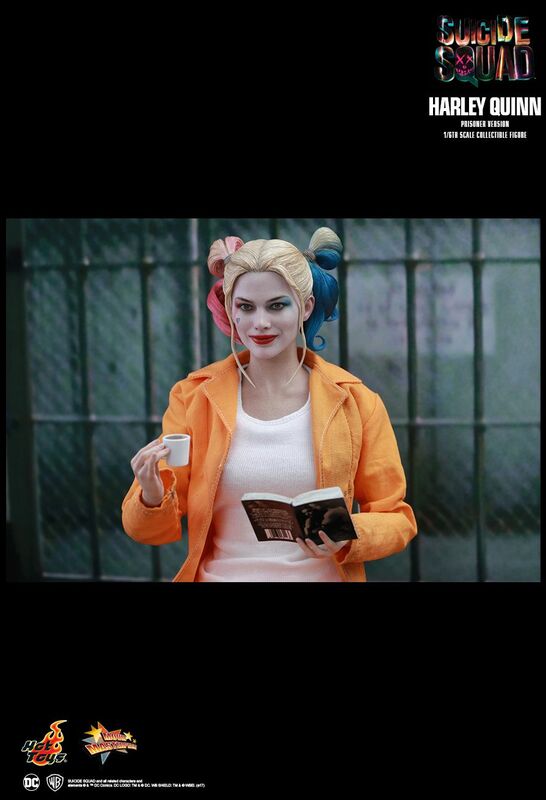 Sultry but outright psychotic, the Queen of Gotham City is unmistakably the star in this ragtag team of supervillains, and today Hot Toys is excited to introduce an all-new 1/6th scale collectible figure of Harley Quinn in her prisoner outfit!